Runologie – My New Favorite Place! | Run Inspired. Runologie – My New Favorite Place! 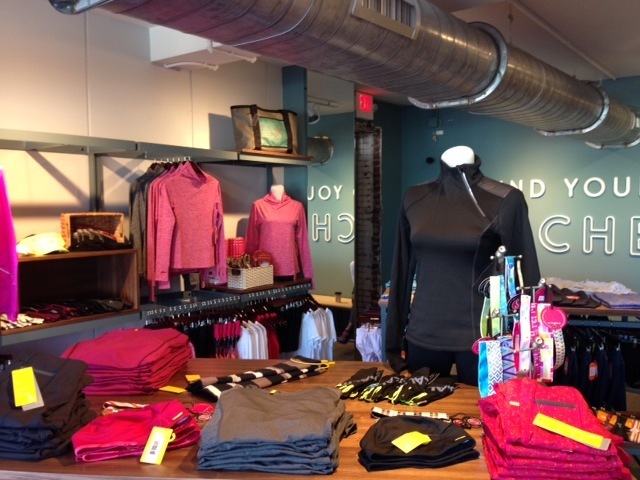 A little over a week ago, I started working at Runologie, Raleigh’s newest downtown running store. To sum up my experience thus far, I would say the following… I LOVE IT! It’s a runner’s paradise and there is no job better than the one that allows you to talk and learn about running. All. Day. Long. It’s fantastic. What makes working at Runologie so awesome? First and foremost, the people. The two lovely ladies who I am working for are also two super fast marathoners and two very awesome people. Laura, who I ironically first met over two years on the DNF bus in Boston (we both had really bad days), and Kimberlie, who has been a running inspiration of mine for years, have worked relentlessly to make Runologie a fun, welcoming, and unique experience. And I couldn’t be happier to be a part of their team. Add to that my lovely coworkers, all great runners who I can learn from, and work life is great. Along with awesome coworkers, the customers make working at Runologie very special. Many of the people who walk through our doors, do so because they want to shop local and they’ve been watching the store’s progress over the last few months. The customers want to learn about our niche brands, check out the Holly Aiken Runner Girl bags, and learn about our group runs. It’s such a positive, lively atmosphere and the people really make this place. Finally, our brands. We carry the smaller, niche brands and my experience with them has been overwhelming positive. I think because these brands are smaller and are competing the more well known brands, they work incredibly hard to provide a high quality product. I can’t even count the number of compliments I’ve received on my Oiselle top or the people asking about my bright pink Salming shoes. It’s really cool to be a part of something different. Last year this time I was teaching. I loved teaching and I loved my students. However, working in public education in North Carolina isn’t for me. Now I’m working in a store that does all things that I love. I’m even planning to do something running related with the middle school right beside us. It’s the best of both worlds and the fact that it’s only three blocks away from my house, is an added bonus. From quitting my job to a nearly broken hip and babies, 2014 has been a learning year. I think 2015 is going to be fantastic! !